While we have a number of theological differences with the UMC, we commend them for taking a stand that is unpopular and not politically correct in today’s culture. However, it’s obvious that many within the denomination do not agree with Biblical teaching regarding the sin of homosexuality. In an age of sexual perversion, the apostle Paul by inspiration of the Holy Spirit was quite clear in his description and denunciation of the sexual sins of the Gentile world when writing to the church at Rome. For this reason, God gave them up to dishonorable passions. For their women exchanged natural relations for those that are contrary to nature; and the men likewise gave up natural relations with women and were consumed with passion for one another, men committing shameless acts with men and receiving in themselves the due penalty for their error. And since they did not see fit to acknowledge God, God gave them up to a debased mind to do what ought not to be done (Rom. 1:24-28). 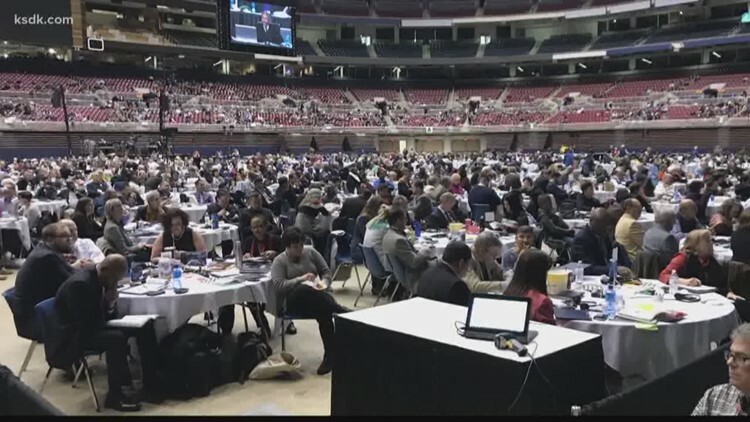 Three years ago at their General Conference, the UMC created a committee called “Commission on a Way Forward” to analyze the denomination’s stance on homosexual issues. We could have saved them a lot of time by simply sharing God’s position stated in the Bible. Again, while we rejoice whenever Truth is upheld and taught, we’re reminded of the danger of voting on what God has already decided and decreed. The teachings of the Bible regarding marriage, divorce, moral purity, and sexual sins are not open for debate. Nor can they be voted in or out by human injunction. We’re reminded of the authority of God’s Word from Paul’s pen in 2 Timothy 3:16-17. We’re not given the right to add, subtract or alter the Divine decree. Human conferences with delegates to amend God’s Word were not found in New Testament times. It’s good to remember that the church does not belong to preachers, pastors, or people with personal agendas and voting privileges. Jesus Christ is the head of the church and exercises authority over the church that He purchased with His blood (Eph 1:22-23; Matt 28:18; Ax. 20:28). He has spoken and revealed His position on all matters of morality. While it may not be popular or politically expedient, I cast my lot with Christ on “all things that pertain to life and godliness” (2 Pet. 1:3). So very glad to see this vote from the Methodist church. The Bible is clear. We must speak the truth. It is man that errs—-drifts—-floats away. Not God.